If you haven’t awakened to the marketing power of radio yet, it’s a good time to get a handle on it. We’ve already showed you questions interviewers ask musicians, but if you want to learn how to actually get interviewed on the radio, this is the article for you! Radio is still one of the few forms of media that helps you get immediate, widespread exposure for your music. While that’s not a guarantee, as different radio stations and different shows have varying reaches reaches, it’s good to know that the potential is there. Being interviewed on radio also has a way of adding credibility to your work. With those in mind, let’s take a look at how you can get radio interviews. 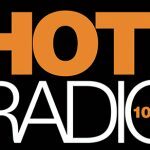 Commercial radio: one of the main objectives of commercial radio is to sell commercials and advertising, so ratings is the main thing they’re concerned with which leads to them playing the established songs and musicians. Most of the time, they are not interested in independent artists. 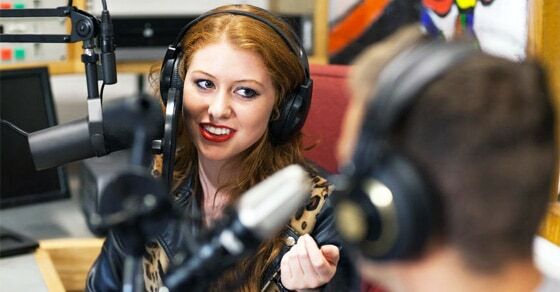 College or non-profit radio: either the community or the student body at large is responsible for the programming at campus-based radio stations. Podcasts & internet radio: internet radio is transmitted over the internet, and podcasts are delivered through syndication platforms like iTunes. Satellite radio: a subscription-based broadcast service for in-car listening. It’s extremely difficult to book an interview on a commercial radio station without some kind of clout, be it major label backing or a high level of notoriety. Most of your opportunities are going to come from the latter three types of radio. First, you need a reason to be contacting radio stations (and hopefully you can find a mutual benefit for the interaction too!). If you haven’t sent your music to any radio stations yet, that’s where you need to start. You should organize a mass mail-out of your latest album. That’s a little beyond the scope of this guide, but we’ll cover how to do this efffectivly in a future guide. On top of this you’ll want to reach out to Djs and show producers personally and get them hearing your music using all the marketing techniques you’ve learned on this blog. Now I’ll warn you, if you’re an up and comer the majority of your submissions will either not get heard or not get played on radio. But make good music, target the right stations and you will get some success. In all honesty, if you can get 5% of the people you submit to initially playing your music you’ve done well. Once the radio stations are loving your music, it’s a good time to follow up and request an interview. This sets a good precedent for the conversation. However, setting up interviews can still prove challenging. Unless you’re working with a promoter, your first goal should be to get just one interview. It can be hard to convince radio stations that you’re going to make for a great guest, and that’s really the whole point of the interview itself. Recordings of previous interviews (if you have podcast interviews that you’ve done, these can come in handy as well). Pictures of previous interviews (if it was in-studio). A letter of recommendation from radio stations that enjoyed having you on their show (sometimes difficult to get as people’s time is precious, but it’s always worth asking). This is why it can be hard to book your first interview; you probably don’t have a lot of material to work with. However, once you’ve done one interview, it makes it easier to build your portfolio and start reaching out to more stations. We’ll look at how to effectively get more interviews a bit below. However, regardless of your credentials, be prepared to spend several weeks on the phone to book an interview. First, you’ll need to find stations that are interested in the idea, and then you’ll need to spend a lot of time following up. Drop in on community radio stations while you’re on tour: this has a way of working out a lot of the time, especially in small towns, and it’s a good way to hit two birds with one stone. I’ve gotten a couple of radio interviews this way myself. Of course, you still need to be courteous and not demand an interview, but if you mention that you have a gig lined up at a local venue, it has a way of opening the door to more. Build your notoriety on platforms like YouTube and iTunes: get on as many videos and podcasts as you possibly can, and you’ll quickly build your interview portfolio. Of course, you have to offer people a compelling reason to have you on their show (i.e. having a great story to share), but if you gain enough exposure through these mediums, even commercial radio won’t necessarily be out of the question. They might even contact you first. Hire a radio promoter: let’s face it; a lot of us musicians aren’t wired to be working the phone all day long. A promoter can not only book more interviews for you, they’ll be able to organize your schedule so that you aren’t all over the place, taking one interview at 10 in the morning, one at midnight, and one at 2 AM. Some interviews will still fall through even when you’re working with a promoter – but in the time that you can book and finish five, they can probably get you 30. Of course, a promoter will cost you some money. Do something extraordinary: the media loves to cover stories, and on slow news days, they’re looking for just about anything of interest to report on. You could plan a quadruple album box set, a 30-venue 10-day tour, or anything that’s a little out-side-the-box and maybe even a little crazy (i.e. guerrilla marketing). Of course, it would be wise back it with a good PR campaign (using a site like PRWeb), media outreach (using Help a Reporter Out), and of course social media. If you’re doing a tour, make sure to reach out to the stations in the cities and towns you’ll be hitting up. When it comes to booking radio interviews, making contact is often the hardest part. If you’re going to do it all yourself, don’t be surprised if you end up spending all of your time on the phone, calling stations, waiting for the right segments for your turn to speak, calling multiple numbers just to get through to the right person, and so on. While it can be a lot of work, it can be worth it. So aim to get interviews at least a few hours a week. Once you’ve got something exciting to share of course. How Long Should A Song Be, Both For Radio And Other?